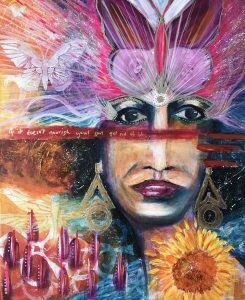 I paint Soul Portraits intuitively and spontaneously and each painting reflects the individual person through my eyes as an artist revealing aspects of their personality and spirit. 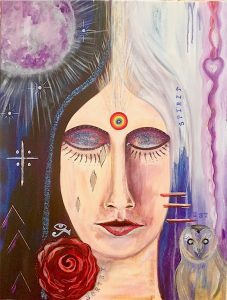 This exciting painting process is preceded by a consultation and meditation with the sitter followed by an energetic healing session working with the chakras and subtle energy within the body where I am able to visualise your soul essence. I capture elements that reflect your inner personality and wisdom. 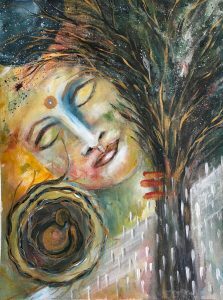 If you want to connect with your true self, or your soul essence then a Soul Portrait can help you along your journey to self discovery, inner wisdom and freedom. It will help you to connect with your Higher Self keeping your heart more open this will then open the door to peace and abundance in your life. A recent testimonial from a client really does convey what a Soul Portrait can do for you. Contact me via steffi@steffisartwork.com to book your appointment for this wonderful and liberating experience.